Start with fresh-cut lettuces for the best green salads. Look for seasonal varieties: tender mache in early spring, peppery watercress as summer warms up, arugula and oak-leaf lettuces as long as it doesn't get too hot, and chicories in the fall. Since a tossed salad tends to be mainly the greens, their freshness and taste are paramount. Be sure to taste the lettuce or other greens before proceeding—nothing ruins a salad quicker than overly bitter or tannic greens. Clean and dry your lettuces as soon as you get them home (they'll keep longer). Rinse lettuce leaves in a large basin of cold water, lift them out of the water, and spin dry in a salad spinner or dry on several layers of paper towels or a clean kitchen towel. If you're not going to use them right away, roll up the lettuce leaves in a layer of paper towels or a clean kitchen towel, seal in a plastic bag, and store in your refrigerator's hydrator or "crisper" for up to 1 week. This storage method keeps the leaves hydrated but not damp, keeping them crisp without wilting. Add about 2 tablespoons of dressing for every 4 cups of clean, dry greens in a clean, dry bowl that seems much too big. Bottled salad dressings may be convenient, but homemade dressings take minutes to make, and you know exactly what's in them. Best of all, they taste great. Once you get the principle down—about 3 parts oil to 1 part acid (such as lemon juice or vinegar)—you can play with variations until the cows come home. Salt and sweeten to your tastes; use mustard (dry or prepared), cream, or egg to thicken and "bind" the dressing, if you like. Mix in cheese, use nut oils, add toasted spices; the possibilities are endless. Add the greens to the bowl on top of the dressing. Then use tongs, salad spoons, or your hands to gently toss the salad. Wash your hands first if you choose that option, obviously. Then, hold your fingers as far apart from each other as possible, and run them down the sides of the bowl to the bottom, lift up, bringing the greens that were touching the dressing on the bottom of the bowl to the top. Tossed salads are at their best just after being tossed, so serve them right away. If you want to make them ahead, make the dressing, add the greens, and cover the greens with a barely damp paper towel before putting in the fridge. Salads kept this way will keep for a few hours, then toss when you're ready to serve. Keep it simple; more than one tossed salad has been ruined by too many ingredients. 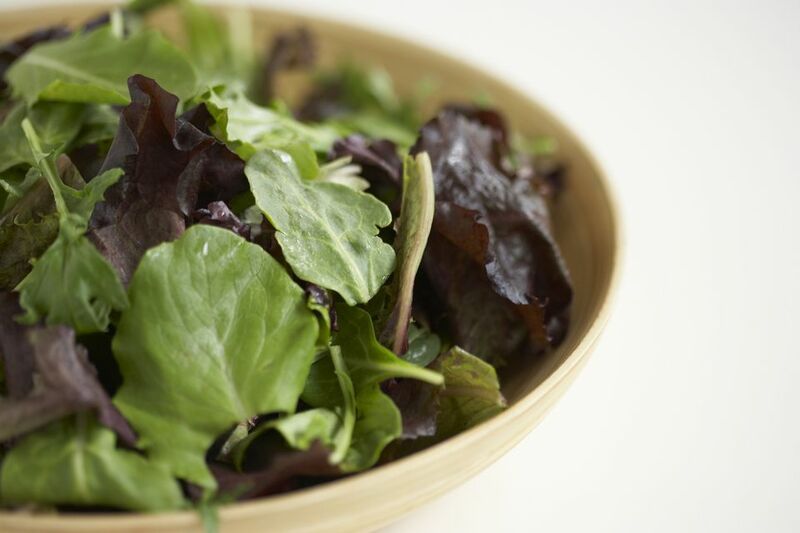 The perfect tossed green salad is just that: tossed greens. Use fresh greens, homemade dressing, and one or two embellishments such as a few sliced radishes, a sprinkle of herbs or chives, or perhaps a few chopped nuts or some crumbled cheese, if you must, but stop there.